﻿ MCN Fleet: Can a Yamaha MT-03 keep experienced riders happy? Yamaha MT-03 has enough of everything to do a little more than simply go from A to B.
We’re lucky out in rural Northants that practically every route you take to work is a cracker, no need for dual carriageways or queues. But how will that commute feel on a machine with fewer than half the cubes of your normal ride? In other words, Yamaha MT-03 versus Ducati Scrambler FT. The Yamaha is the smallest-capacity bike I have run since trading an MZ ETZ125 for a Kawasaki GT550 more than 20 years ago, but it seems I’m not alone in experimenting with more pint-sized machinery. 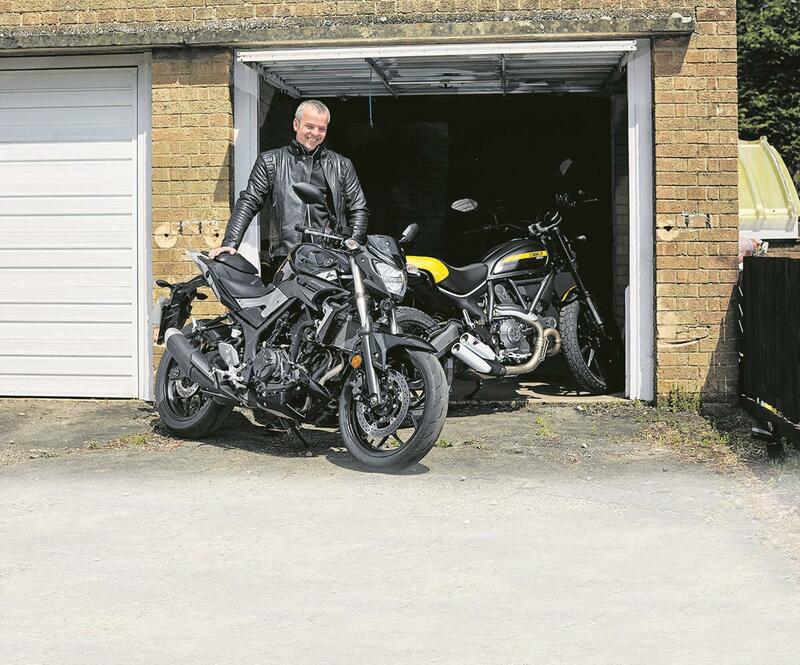 The MT is built with A2 licence-holders in mind, but while the bike was having its first service at Motorcycle World in Northampton I learned that a fair few lower cc Yamahas are being bought by more experienced riders, often as second bikes. That’s particularly true of the R3 but also of the naked MT-03. So back to that rural commute. There’s some seriously choppy tarmac on the stretch from my village heading towards the market town of Oundle. It’s a blast on the Ducati, the twin Termis crackling and popping on the over-run. But things can feel like they might get out of shape and the borderline budget-spec rear shock struggles, sending jolts up through the seat. Wakes you up in the morning, if nothing else. And what of the Yamaha? The parallel-twin has a pleasing burble, but we’re in more of a stealth mode rolling out of the village. Get on to the narrow and twisty national speed limit road and the fun starts. It’s a different experience from the Scrambler, but still engaging. I can crack the throttle and feel like I’m getting the best of what’s available. Again, it’s a bike with budget suspension, but the Yamaha is actually more composed over the pock-marked surfaces and it feels like I’m benefitting from a more precise ride – particularly on the Bridgestone RS10 tyre I am currently experimenting with. Those RS10s also inspire confidence through tighter bends. I’m not one for big lean angles but the MT makes the experience rewarding enough. If I’d had the Yamaha as my first big bike after that MZ I’d have been totally made-up. It’d probably have improved my riding too. Would I want one as my only bike now? Probably not, it doesn’t bring the same emotional connection as the Ducati for one thing. But as a commuting partner? Definitely. Interested in purchasing an MT-03? Check them out on sale here.